Like most parts on a vehicle, brake pads are not designed to last forever. In fact, they are actually designed to wear down over time as friction and heat reduce the thickness of the brake pad. There is no set time table for replacing brake pads like there is for changing oil simply because there are so many different factors that determine how long brake pads will last. Brake pads on a vehicle that is used in a environment where there is a lot of stop and go traffic will not last as long as break pas used in a less demanding environment. In order to ensure that your brake pads are replaced when needed it is important that you check them from time to time and are aware of any signs of brake pad wear, such as squealing when the brakes are applied. When you realize that it is time to have your brake pads replaced don’t waste any time in contacting Rolling Auto Service for the best Venice Brake Pad Replacement service around. 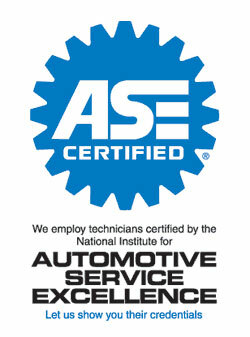 Instead of bringing your vehicle in to an auto repair shop Rolling Auto will send an ASE certified mechanic out to your home to replace the brake pads on your vehicle. While it may be tempting to wait to have your brake pads replaced the longer that you wait the greater the chances are that your pads will wear down and damage the rotors, which are quite expensive to replace. When it comes to brake pad replacement in Venice Rolling Auto should be your first and only choice! Posted in Uncategorized and tagged ASE Certified, brake pad replacement, brake pads, Rolling Auto, Venice Brake Pad Replacement, Venice Brake pads on January 15, 2013 at 4:24 pm by Rolling Auto Service.